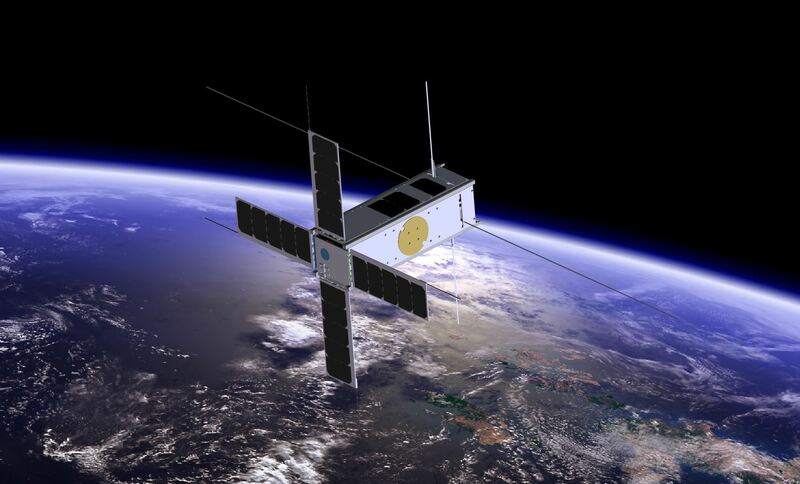 A Q&A with Ryan McDevitt, CEO of Vermont-based satellite maker Benchmark Space Systems. The space sector is soaring – driven less these days by NASA projects than by a slew of private companies staking their claim in low-earth orbit (LEO) and beyond. According to the Congressional Research Service, global spending on space activity reached approximately $323 billion in 2015, three-quarters of which came from commercial space products, services, and support industries. Satellite manufacturing alone is now a $6 billion global industry, and the sky is growing exponentially more crowded. Within a few years there could be an additional 20,000 new small spacecraft in orbit, more than 10 times the number of working satellites today. The majority of these new satellites will be tiny CubeSats, consisting of one or more 10-centimeter metal cubes weighing less than three pounds, equipped with communications antennae and solar panels for power. Used to gather weather data, monitor human activity on Earth’s surface, track aircraft, and house microgravity science experiments, among other things, these micro-satellites cost as little as $40,000 each, compared with nearly $100 million for larger, custom-built satellites. They can easily hitch a ride with other cargo on regularly scheduled commercial launches by companies like SpaceX, and are frequently launched en masse from racks aboard the International Space Station. And if three-year-old Benchmark Space Systems has its way, many of them will soon be powered by an innovative propulsion system made in Vermont. AllYouCanTech recently spoke with CEO and cofounder Ryan McDevitt about the company’s stratospheric ambitions. AllYouCanTech: How did you end up starting this company in Vermont? Ryan McDevitt: I was a Ph.D. candidate at the University of Vermont, working on a NASA-funded project to develop small-satellite propulsion systems. UVM has been working on these systems since 2001. I graduated in 2014, and with seed funding through UVM, I started a company called Greenscale to continue developing this particular technology for NASA. AYCT: What was so interesting about your technology? RM: It’s a high-performance 3D-printed hydrogen peroxide-based system. I called it Greenscale because we were using a green, nontoxic propellant, and microscale thrusters. We can build it at a competitive price for the high end of the market – NASA, DARPA, the Air Force. But we didn’t have any commercial interest because it was too expensive for those customers. AYCT: So, have you shifted your focus? RM: We’re continuing to work through our connections with the government agencies. But recognizing the opportunity in the private sector – particularly propulsion systems for mini-satellites – last year I brought in a project manager I knew from UVM and we’ve pivoted to focus more on commercial customers. We’ve rebranded as Benchmark Space Systems, and now we’re selling a [more affordable] standalone propulsion component to CubeSat integrators and builders. Currently, less than 99% of CubeSats or smaller satellites have any type of propulsion system or ability to maneuver once they’re launched, though some have very rudimentary gas thrusters. AYCT: The appeal of CubeSats that they’re simple, cheap, and fairly disposable. Why add to their cost with a propulsion system? RM: We’re tapping into two things. First, because CubeSat owner are usually “ride sharing,” with someone else footing much of the bill, they don’t get to pick their orbit – they can wait months or years for the right orbit to come along. Having a propulsion system gives them a wider band of choices, because they can navigate to the right orbit. Second, it’s hard for small satellites to maintain the momentum needed to stay in low earth orbit, so the lifespan of CubeSats is typically around a year or so. A propulsion system can double that lifespan or better. AYCT: So, you’re getting good traction in the marketplace? RM: We just made the transition [to focus on commercial] in January. In August, we went to the largest small-satellite convention in the world, in Logan, Utah, which was our first chance to interact with customers after our rebranding. As a result, we’re now talking with four different companies about designing systems for them. AYCT: A lot of space companies are out West, or situated close to launch facilities in Florida, for example. Are you at a disadvantage being in Vermont? RM: Actually, it’s been good, for a couple of reasons. One is having access to resources and facilities at UVM. Plus, different professors there have been in the scene for a while – a UVM professor did one of the first papers on small satellite propulsion systems. There’s no official aerospace minor, but they offer a lot of aerospace education, and people coming out know a lot. So, there’s a lot of untapped potential there. AYCT: So, finding employees isn’t a problem? RM: Whenever we’re hiring, people from all over contact us – there are so many native Vermonters who left because they felt they had to, who have connections and skills and are ready to come back if they can work in an interesting industry. RM: We have four people at the company now, along with 5 to 10 interns working on various aspects of projects. We’re actively talking with investors from Vermont and elsewhere. And we’re in the process of moving into 1,000 square feet of warehouse and assembly space on Gregory Drive in South Burlington. Because we use additive manufacturing [3D printing], we don’t need a huge installed manufacturing base. And our systems are so small we can box them up and ship them by UPS. Right now, we’ve got good momentum and we’re really excited about our new focus.